« Do you sometimes miss important IAP news? And do you know if you have? We’ve been approached by a recruitment agency who ask if any member would be interested in a Kent-based post as a software developer, primarily using Delphi. We don’t know of anyone looking for such a position at present, so we’re announcing it here. We’d like to remind members that we frequently receive requests like this, so, if you are looking for a new post, you should log details with us. That way, we can respond to such queries in real time, so to speak. 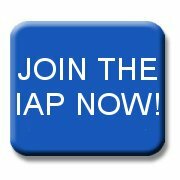 Just email your CV to Robin Jones (eo@iap.org.uk) with a brief note indicating the kind of job you’re seeking, preferred locations and any extra information you think relevant. You can find full details of the Delphi post here. To discuss it in detail, contact Simon Byers on 01622 757123 / 01227 762100 or email him at simon@cbrec.co.uk.